Hacienda La Iguana has been in the Paguaga family for generations. It is located in the town of Susucayan. Its micro-climate and diverse trees are optimal for cultivating shade-grown coffee and create the perfect habitat for different plants and animals to flourish. Crop diversification is key to the success and sustainability of the farm and by extension its community. Hacienda La Iguana's coffee, corn, plantains and cattle ensures year round employment for up to 240 men and women who contribute in a variety of roles around the farm. Rene Martin Paguaga, 3rd generation, has owned and operated Hacienda La Iguana since the early 2000s. Rene Martin, along with his wife Alma, have worked tirelessly at making this a model farm for the region. Their effort has lead to Hacienda La Iguana becoming the healthiest, most robust farm in the area. During 2012-2013's roya / rust outbreak many farms in the area barely survived, but Hacienda La Iguana's proactive approach paid off and the farm remained healthy during the harvest and continued to provide steady jobs for the community. The Susucayan community benefits from year-round employment opportunities at Hacienda La Iguana. 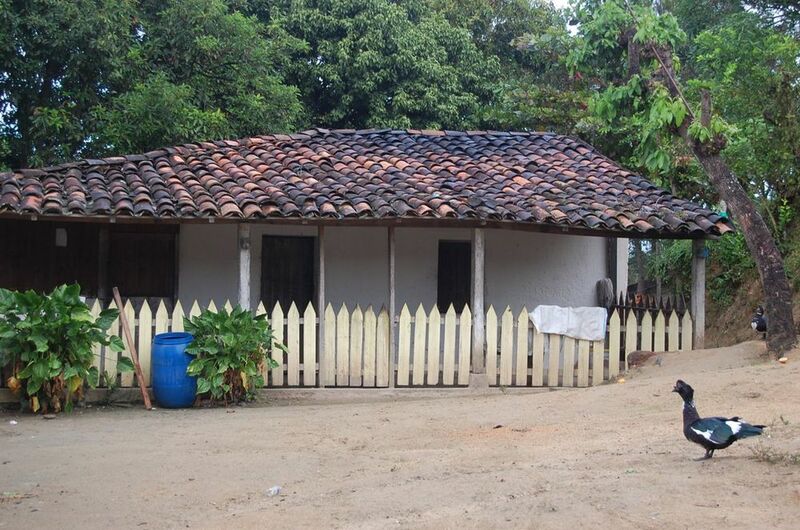 Easy access to the farm allows workers to go home to their family daily. In appreciation of the community, Hacienda La Iguana, organizes a "Kid's Day" celebration every December where the local children come to the farm to enjoy a day full of fun with food, gifts and a piñata. In 2013, approximately two-hundred kids celebrated at the farm and every year the celebration grows.